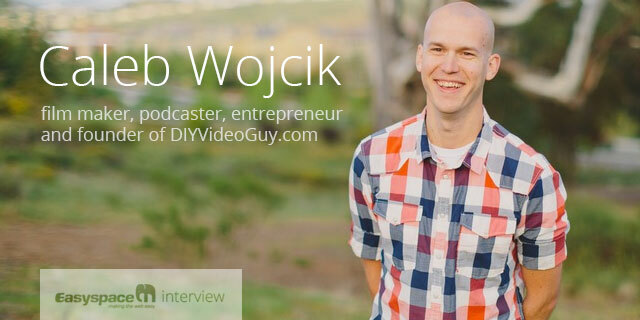 Caleb Wojcik is a film maker, podcaster, author, and online entrepreneur. He was previously a Co-founder of Fizzle.co – an internet marketing training site, where he hosted The Fizzle Show, a podcast for creative entrepreneurs and business builders. 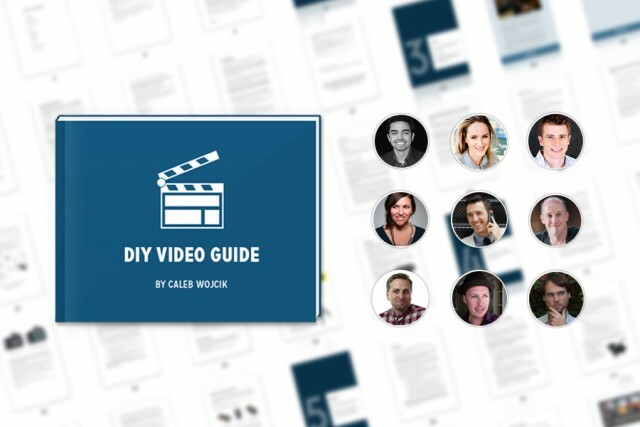 He is also the author of the DIY Video Guide where he provides expert advice on how to make videos for website owners. Caleb is an expert when it comes to building and growing online businesses, with an expertise in web videos. He has created videos for some of the worlds top internet marketers – from Pat Flynn to Amy Porterfield – and he is able to advise people on the importance of using videos in their marketing efforts. I worked in a corporate gig for 3.5 years and got my MBA right after college while surviving the economic downturn of 2008-2011. I basically held onto my job while my company went through layoffs. During that time I started reading blogs about being an entrepreneur. People like Chris Guillebeau, Tim Ferriss, Pat Flynn, and others. I started a blog in December 2010 at PocketChanged.com about personal finance and nine months later started working with Corbett Barr at Think Traffic (now called Fizzle.co). Since then (the past three years), I’ve been working full-time with helping people that are starting blogs, trying to earn a living online, and taking the entrepreneurial leap. Q2. When you first decided to try to make a living online, how long did it take you before you earned enough to live off? Well, I started blogging in December 2010, but that site never got me to the point of learning a full-time income from it. I went to work with another online entrepreneur instead. It wasn’t until just recently, over 3.5 years later that I feel comfortable going off on my own to start a video production studio and keep teaching + selling products online. At DIYVideoGuy.com I teach people how to make and get better results from web videos. Whether they’re already making videos or are still just writing and podcasting, I help them improve their video production, marketing, and strategy. Q4. You have experience of hosting podcasts on your website. How does having a podcast benefit a website and how difficult is it producing one? Podcasts are helpful for your audience to really get to know you. Instead of just reading your words for a few minutes a week, they are listening to you for 30 or 60 minutes a week. They get to know and trust you quickly. Podcasts are difficult to produce because you need good equipment, commitment to release episodes on a consistent basis and need to be interesting enough for people to listen to your podcast instead of all the others. Q5. From your experience, what are the basic steps somebody needs to take, to setup & develop a successful website? The most important part of building a successful website is consistently putting out high quality content. Anyone can put out a bunch of junk, over and over again, but if you can alway put out great stuff, you’ll get noticed. Q6. 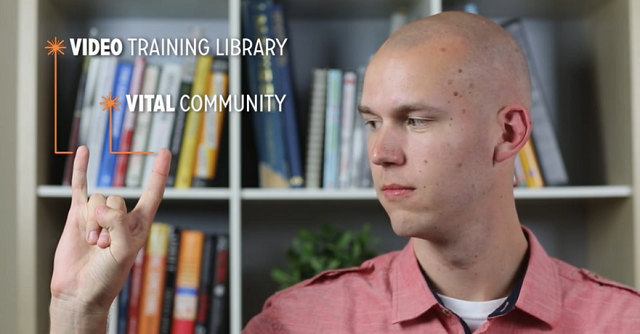 How did you become involved with making videos, and how can they benefit a website? (e.g. generating traffic & sales to your website, etc). How difficult is it creating them? I dabbled in video throughout college, but didn’t really get really into it until we started making a bunch of video training for Fizzle.co. Videos are even better than podcasts in my opinion because you can’t fake who you are. You just have to be you. And that can lead to better trust, explanations, etc. Videos definitely take more work too, but don’t have to. Start with talking over screen recordings or just using your phone. Q7. When it comes to content for a website there are 3 main types: written (e.g. blog post), audio (e.g. a podcast) and video. What advice would you give when deciding which of these to use on a website. In what situations is one preferable over the others? When deciding between written, audio, or video, it really just depends on what the content is. Written is great for essays, in-depth walkthroughs, etc. Audio is great for conversations, multiple voices, etc. 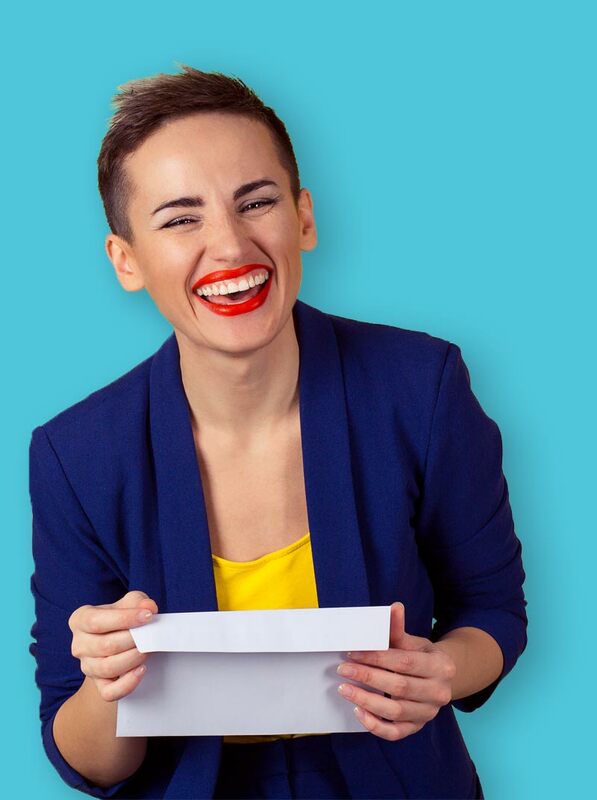 Video is great for getting one point across, showcasing personality, and humor. It all depends. Q8. What’s it like running your own business? Describe your typical day. I get up early. 5:30 or 6am. I try to journal and write 1,000 potentially publishable words next. Then I plan the day, eat breakfast and check-in on email, social, etc. I try to have 3 or 4 90 minute chunks throughout the day for the big tasks. Work till 4, 5, or 6. Exercise (lift weights, rock climb, or surf). Dinner. Read or watch films. Bed. Repeat. Q9. Which entrepreneur/person has inspired you the most & why? Too hard to pick just one. I think the most influential early on would have to be Chris Guillebeau though. I bought the domain for a blog so I could tell him in-person on his book tour about it. That started it all. Q10. What advice would you give to somebody thinking of starting their own online business? Work under a mentor to see what it is like to actually run a profitable business. You can assume too much about how you can “get rich” without actually seeing how a real business works firsthand. Has Caleb inspired you to start up your own business? Maybe he has encouraged you to set up your own website? If he has, then begin by registering the domain name you want. Then get your website set up. With this in mind, Easyspace has created EasySiteLive PRO – a website builder product, to help get your website up and running in no time. Click here to try our new EasySiteLive PRO website builder for 21 Days Free of charge.